RunDisney events are always unique. 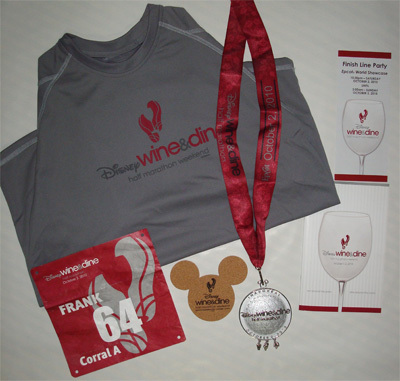 Usually it is because they give you an opportunity to run through one or more of the Walt Disney World or Disneyland parks or because you earn a large finishers medal featuring something (or someone) uniquely Disney. This race, however, was unique for an additional reason; it would be run completely at night. The race took the runners from the ESPN Wide World of Sports to (and through) Disney’s Animal Kingdom and Hollywood Studios before a run around the Boardwalk and a finish just outside of the International Gateway. The weekend’s events started on Friday at noon with the runner’s expo at the Wide World of Sports complex. The runners went to pickup their bibs, shirts, and packets. They also had a chance to do a little shopping, get information on future Disney and non-Disney events, and see presentations by people like Jeff Galloway and race director Jon Hughes. If you got in too late to go to the expo on Friday, or if you were too busy touring the parks, you could go to the expo on Saturday afternoon to do the same. Friday was also the day that kids 8 and under met at the Track & Field Complex at the Wide World of Sports for the kids races. The races consisted of a diaper dash for the youngest “runners” and 100m, 200m, and 400m runs for the kids who were a little older. 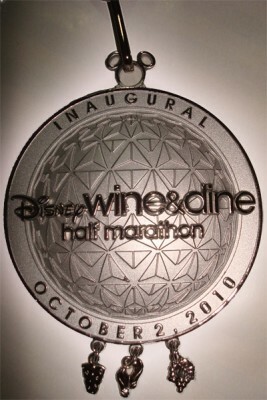 It gave the kids a chance to earn a finisher’s medallion just like mom and dad would be earning the following evening. Up until this point the weekend was not all that different from race weekends all around the globe at any time of the year. Saturday would be different. While some of the runners had participated in shorter evening or night runs, a nighttime half marathon was a new experience for every runner I spoke with. There was the question of when and what to eat, whether or not to take a nap, and most importantly, should I spend any time in the Disney parks that day? For some of the runners the morning was all planned out. They would participate in (or cheer on the runners who were) Mickey’s Halloween Family Fun Run 5K. However they spent the day, everyone was going to meet back up sometime between 6:00 pm and 8:00 pm to get to the start area for the race. As the runners gathered on the fields at the Wide World of Sports they were entertained with some music, an interview or two, and an orchestrated pre-race warm up from the stage. Mickey and Minnie were also there if you wanted a picture with them before you suffer through 13.1 (or 4.8 or 8.3) miles of running in Florida heat and humidity. The runners also checked their gear bags, made a last minute stop at the medical tent (or port-a-potties), had a snack or some water, socialized with their friends, and waited until they were moved into their start corrals. After the National Anthem the countdown began and fireworks went off. The runners started on Victory Way and then ran west onto Osceola Parkway to go to the Animal Kingdom. Spectators weren’t allowed to watch this portion of the race (or any portion until the Boardwalk) but there were some bands, a DJ, and some of the stilt walkers from the Animal Kingdom there to cheer them along. Once the runners got into the Animal Kingdom parking lot they would run into the park and complete a clockwise circle through it. There were some tight areas, especially if you were in a large group with other runners, but Disney did a good job of keeping the ground lit. As anyone who has been in the Animal Kingdom can tell you there are some spots with uneven pavement and while that was a concern the lighting and course volunteers made sure everyone was aware of the danger and everyone I spoke to made it through okay (though sometimes a bit pinched in areas). After exiting the park the runners who participated in the relay handed off the remaining running to their partner and everyone made it back out onto Osceola Parkway. This was after negotiating a speed bump that the race volunteers made sure we knew about (if you ran it you know what I mean). The run back east on the parkway was without any crowd support but again Disney had some cast members out to at least give everyone a little encouragement. At this point the runners took a ramp up onto World Drive (the most severe incline of the evening) and then onto Buena Vista Drive for a run through Disney’s Hollywood Studios. As they approached one of the backstage entrances (near the Tower of Terror) the street lights were out and it really was the only time during the whole race the darkness made anyone question their footing. The run through the park was fun but had a lot of narrow turns. Just like in the Animal Kingdom this wasn’t an issue if you were running single or double file but in large groups it could have caused a problem. As the runners exited the Backlot Tour area they got a well timed surprise (considering it was so close to the end of the race) no one was expecting. The Osborne Family Lights, though incomplete at the time, were on and the course took them right down the center of Streets of America. The course then exited the park and took the runners down the canal that the Friendship Boats use to take guests from the Boardwalk resort area to the Studios, went clockwise around Crescent Lake, and then to the finish just outside the International Gateway. The 13.1 mile journey was over. All that was left now was to collect some water, a banana, your Bling (the finisher’s medal) and get your checked bag. Awaiting everyone just inside the park was the Finish Line Party. 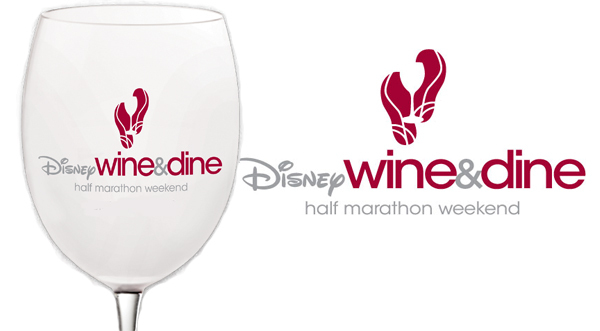 This race was exciting and I recommend it to anyone looking for a slightly different way to enjoy the Food & Wine Festival. There were some issues that I hope get ironed out before next October 1st and the second running. It would be nice if there was a way to allow spectators to see the start and line the route along Osceola Parkway. There is access to the road via ramps on the south side so it is possible if Disney is willing to provide transportation. The route through the Studios could be made to incorporate less turns (as long as that run through the Osborne Lights stays of course), and a finish inside Epcot as opposed to just outside would be nice. They are going to have to rethink the way they do baggage check. Anyone going through early had no problems but those finishing a little later in the night faced an odyssey for which there is no excuse. Lastly, the Finish Line Party (which will be the subject of its own blog) needs to have its attendance limited. Some of the lines needed a FastPass. Any inaugural race will have rough edges, especially one run at night for the first time, but all of them are merely an opportunity for RunDisney to improve the race experience. 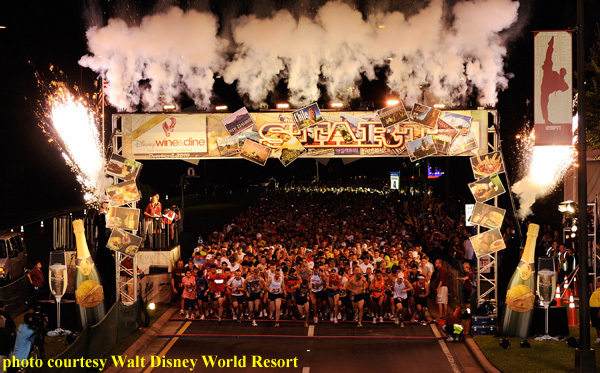 Anyone who has followed the Walt Disney World Marathon since 1994 knows that they are able to improve their events year over year.